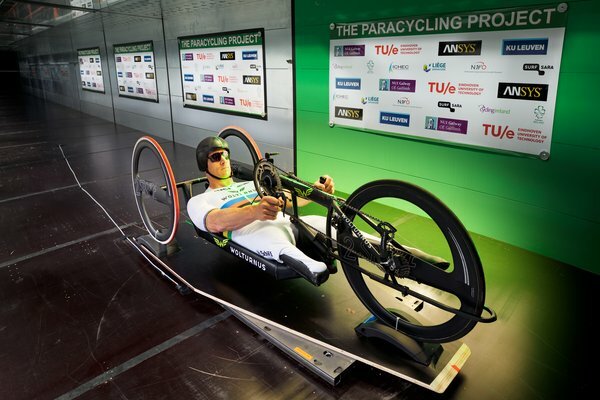 Participants in Para-cycling races – cycling with a disability – would do well to study Paul Mannion’s PhD research. 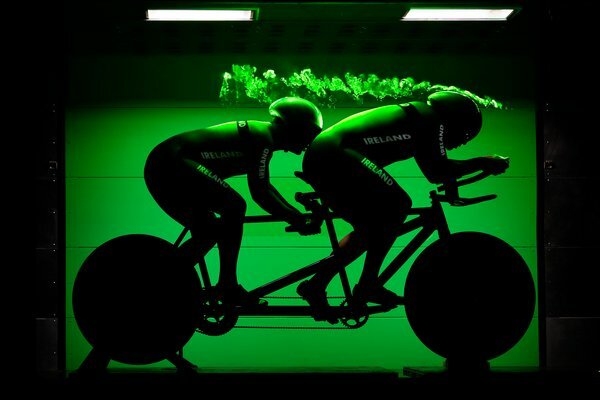 At Eindhoven University of Technology and National University of Ireland Galway he has been investigating the aerodynamic resistance of tandem and hand cyclists. 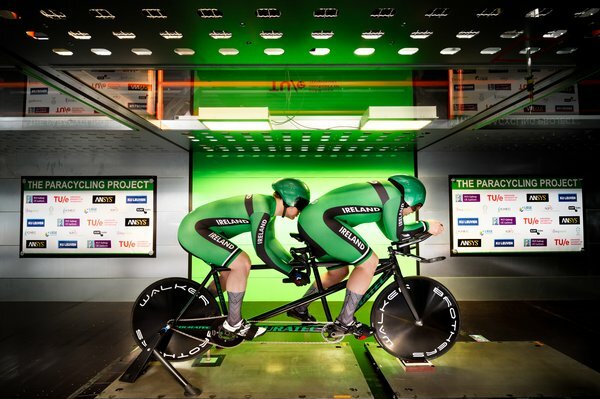 The optimal posture appears to give tandem cyclists an advantage of 8.1 seconds per 10 kilometers, while the correct choice of wheels can give hand cyclists a gain of 1.6 seconds per kilometer. This could make the difference between winning or losing. Some of the results were unexpected, especially those for tandem cycling. Here, a sighted rider – the pilot – sits at the front, while the rear rider - the stoker - has a visual impairment. “You would expect athletes to experience the least resistance in a race when bending over the bike as much as possible. But our research shows that the aerodynamics are better if the pilot adopts a more upright position. This helps to shield the stoker from the wind, reducing the total resistance of the two riders,” explains Paul Mannion. There is even more to gain in time-trials. Most tandem cyclists adopt the so-called time-trial position, while the researchers show that the frame-clench posture, in which the stoker grasps the pilot’s seat post, is faster. “Compared to this standard position, there is a time gain of no less than 8.1 seconds over a distance of ten kilometer,” explains Blocken.